Rev. Al Sharpton : Trump is turning Dr. King's dream into a nightmare. Did civil rights martyrs die in vain? Rev. Al Sharpton Trump is turning Dr. King's dream into a nightmare. Did civil rights martyrs die in vain? A situation this dire requires an equally impressive response. In November of 2008, I was invited to Chicago to watch the election returns at Grant Park and be there with Barack Obama as he became the first African American ever elected U.S. president. I respectfully declined. Instead I spent election night in Atlanta, leading National Action Network’s (NAN) watch night service, similar to the New Year’s Eve service and countdown that we do every year. I then led 5,000 people to Dr. Martin Luther King Jr.’s grave for a rally before marching across the street to Ebenezer Baptist Church — Dr. King’s church — to be with King’s sister, his daughter Bernice King and his son Martin Luther King III. At such a historic moment, this is where I had to be; A black president wouldn’t have even been possible without Dr. King. He sacrificed everything and literally laid down his life so that we could witness the day when a black man stood on stage with his black family and accepted the office of the presidency of the United States. We often hear people discuss King’s dream and millions enjoy a day off from work during the King holiday weekend, but few understand the amount of sheer dedication, courage and focus it took for King and many others in the civil rights movement to achieve the progress we take for granted today. But as his most recent comments about Haitian and African immigrants prove, Trump has no idea what it means to treat humans equally “no matter the color or our skin.” He also understands very little about the legacy of the man he claims to be honoring. From the Montgomery bus boycotts and lunch counter sit-ins to the march from Selma to Montgomery, the March on Washington and so much more, people put everything on the line so that our society could be more fair, just and free. There was literal blood, sweat and tears along this journey for civil rights and social justice. Do we truly remember? A half-century ago King led a movement — a movement that was predicated upon securing voting rights, job opportunities, fair housing, educational opportunities, an end to racial discrimination and ending income inequality. Today, in 2018, we find ourselves at a crossroads: Everything King fought so tirelessly for is under attack once again. The question now is: How will we proceed? One of the biggest criticisms we hear about Trump is that he has spent his first year in office attempting to reverse President Barack Obama’s policy achievements. While there is a lot of truth to that statement, it represents only half the story. In fact, Trump and his administration are undoing the progress that was achieved, not just by Obama, but by the civil rights movement. The White House has so far gone after health care, criminal justice reform measures, and environmental regulations while endorsing voter suppression tactics, flirting with nuclear disaster, and passing tax cuts that benefit corporations and the wealthy while indicating that they plan to target the social safety net next. Almost all of these maneuvers will directly impact communities of color; often, these types of measures impact communities of color the most. On top of the policy implications of Trump’s presidency, however, the cultural consequences have been severe. For many Americans — old and young — the notion that the Ku Klux Klan and white supremacist groups would feel emboldened and supported in the year 2017 was unthinkable. But it happened. Seeing hate take the life of a young white woman who was marching in solidarity against these groups last summer in Charlottesville was a shocking reminder of America’s many civil rights martyrs as well. People of all backgrounds came together to fight for justice and equality — and some did not survive that fight. It is up to us to ensure that, once again, those brave people did not die in vain. King may not have completed everything that he tried to accomplish, but he was still able to change actual laws and policies. He was an incredible preacher and orator who utilized nonviolent demonstrations to garner attention, raise awareness and bring people together so that they could push the government to enact legislation that would result in concrete changes. The protests, boycotts and sacrifice led to tangible results like the Civil Rights Act and Voting Rights Act. On top of the policy implications of Trump’s presidency, the cultural consequences have been severe. Everyone has a role to play in this new fight. NAN and I will be holding our annual Dr. Martin Luther King Jr. Breakfast in Washington, D.C., as well as our King Day Public Policy Forum in New York City on Monday. As we commemorate the legacy of our greatest civil rights leader, we will recommit to making sure that everything he stood for, everything he fought for and everything he died for will not relegated to the history books. As people gather around the country nearly 50 years since King was shot down by a white assassin, we have to take this ugly moment seriously. 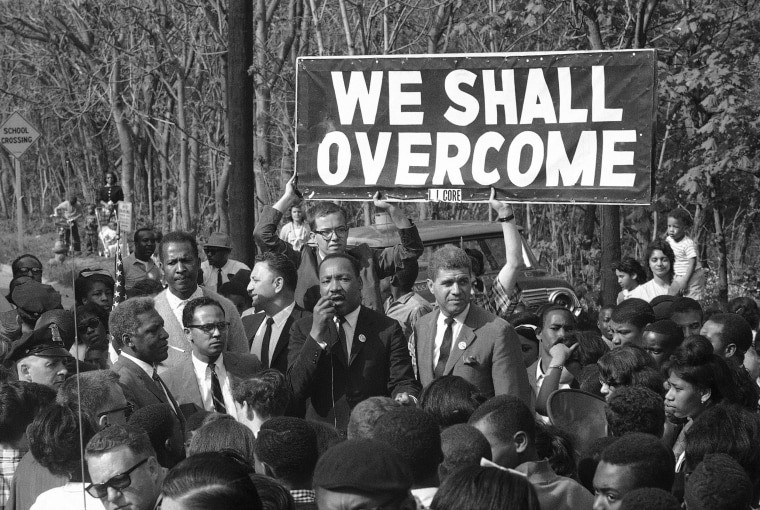 We must remember the tremendous sacrifices of the civil rights movement, and ask ourselves: Are we truly giving our all? A situation this dire requires an equally impressive response. We must resist not only Trump, but also all those who would turn King’s dream into a nightmare. Rev. 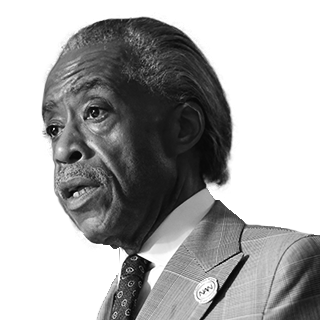 Al Sharpton has held such notable positions as the youth director of New York’s Operation Breadbasket, director of ministers for the National Rainbow Push coalition, and founder of his own broad-based progressive civil rights organization, the National Action Network (NAN). Rev. He hosts PoliticsNation, which airs from 8-9 a.m. ET on Sundays on MSNBC. With over 40 years of experience as a community leader, politician, minister and advocate, Rev. Al Sharpton has held such notable positions as the youth director of New York’s Operation Breadbasket, director of ministers for the National Rainbow Push coalition, and founder of his own broad-based progressive civil rights organization, the National Action Network (NAN). He hosts PoliticsNation, which airs from 5-6 p.m. ET on the weekends at MSNBC.